Kids' Clubs for all ages! What could be better than spending a week-end or a longer holiday in Payrac, in Dordogne with family? That is what we suggest at the camping Yelloh! Village Payrac Les Pins. While children discover new activities in their entertainment clubs, parents can enjoy a few moments to themselves for a hike in the region or relaxing in the wellness area. A games area with synthetic grass, trampoline, multisport pitch or fitness area: there is so much to choose from! Parents can even supervise their children from the terrace at the bar! 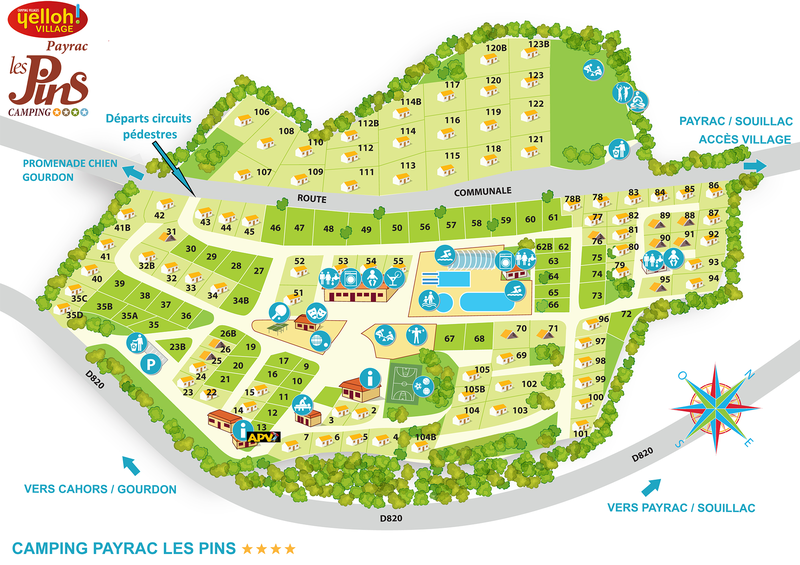 Children love holidays at the Camping Payrac Les Pins. Laughter, fun and new friendships for all! Everything is planned with your youngest children in mind: entertainment clubs for all ages will enable your children to participate in activities, discover new talents and make new friends! A fun games area, with roundabout and swings for your children's enjoyment in total safety! Even the bathrooms at the camping are specially adapted: there are baby booths as well as toilets and showers for children.